Hello dear Grant Museum blog followers, Dean Veall here again bringing you Specimen of the Week 184. This week’s specimen of the week is the result of a recent rummage through the drawers of the collection. Through my contributions for the series I have often gone in search of a specimen that doesn’t get to be seen by the public very often and today’s specimen is indeed one of those and it also revisits an emerging avian tendancy I had not realised I had until I started writing these blogs. This week’s Specimen of the Week is….. 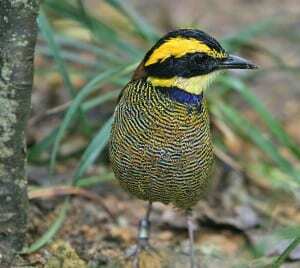 The Javan banded pitta, as its name suggests, is found on the islands of Java and Borneo. 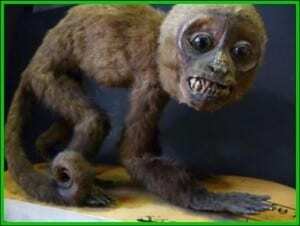 There are thought to be an estimated 10,000 individuals found in the tropical lowland forests of Java. Just like other members of the genus Pitta, the Javan banded pitta is distingushed by their short tails, rounded wings and brilliant colours which have earned them the nickname of jewelthrushes. As a group they are rather stout birds measuring just seven inches in length. These long-legged passerine birds move along the forest floor rapidly in long hops foraging for invertebrates such as insects and snails. Both parents are involved in nest making, which are usually roughly made and near the ground, incubation and rearing of young. This is the third bird prep. specimen of the week I have written, having previously written about the kingfisher and the Eurasian jay. Unlike those specimens this specimen excited me because of some recent museum based research that changed the whole taxonomy of the group. 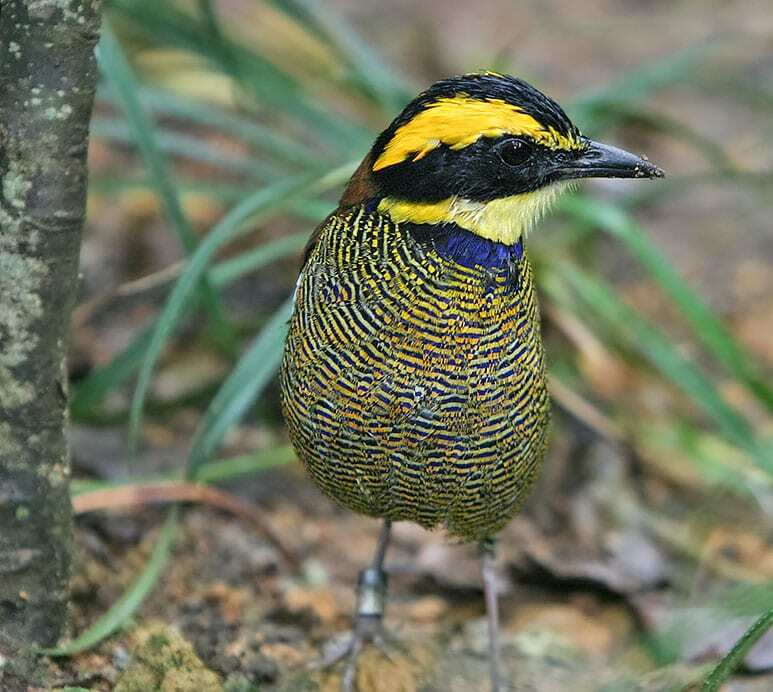 In 2010 a study published by Rheindt and Eaton rocked the banded pitta world to its foundations, much of which are still reeling from that six page paper. The accepted consenus was that there existed six subspecies of the Pitta guajana, further studies have, however, discredited three of those due to either a mislabeled museum speciemens or lack of features that distiguished some subspecies from other subspecies, leaving just three potential subspecies. These were the focus of Rheindt and Eaton’s study. The three subspecies Pitta guajana schwaneri, Pitta guajana guajana and Pitta guajana irena were so distinct in their morphology that until the late 1930’s they were just separate species but a study later decided to put them altogether in one species, a process taxonomists refer to as lumping. Some 60 years after this, Rheindt and Eaton decided to revisit this grouping using 56 specimens from the Natural History Museum’s collection. They compared body part measurements and plumage colouration and also used geographical data and bioacoustic comparision from wild animals. They concluded that based on these morphological, colouration, vocalisation and ecological differences that the three subspecies were distinct enough to warrant being re-elevated to species status. Rheindt and Eaton are what is refered to by taxonomists as splitters. I love a bit of taxonomic re-classification! The species kept their name of banded pitta but were split according to their native range and distingushed by their plumage. The Bornean banded pitta (P. schwaneri) from Borneo, has blue underparts with yellow flanks and its chest is densely barred with blackish. The Malayan banded pitta (P. irena) from the Thai-Malay Peninsula has an orange-ish eyebrow, blue underparts and its chest has dense orange and dark bluish bars. And finally our specimen, the Javan banded pitta (P. guajana) with its yellow eyebrow, underparts that are densely barred in yellowish and blackish-blue and a narrow blue band on the upper chest. Check out the video of a Maylan banded pitta and notice the difference in plumage colouration with the Javan banded pitta. 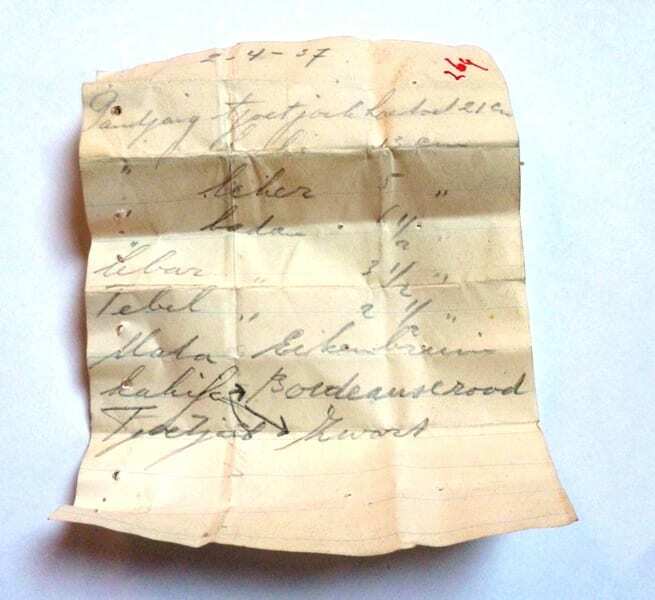 Unlike many of our specimens it would appear that this specimen has some data associated with it in the form of these handwritten notes. We can say with certainty that this specimen is a Javan banded pitta as, according to the label it was collected in Java on the 2nd April 1937. The second note is, however, less clear, I can make it some measurments but the majority of the text is difficult to read and possibly not even in English. If anyone can make it out we would love to hear from you. Rheindt, Frank & James Easton (2010). Biological species limits in the Banded Pitta Pitta guajana. Forktail (Journal of Asian Ornithology) 26: 86-91.